Which hair parting is right for me? Pastel Perfection: Get the fresh, soft and modern look! Hair content by people who love it. It’s winter time, and it’s cold and windy outside! But it’s also warm and toasty inside, thanks to the fireplace (or, central heating, in my home). But with this constant, and abrupt, change in temperature, one’s tresses can become frazzled and unhappy. To stop the erratic weather giving your locks a present they don’t want, invest in any or all of the Top 3 Oils. They’ll be a gift you can use all year round for soft, silky, and strong hair. Is my personal number one for being so multidimensional. Its composition is supreme and its effects to the hair are simply perfect. If you want super soft strands, then nourish them with coconut oil. The composition of the oil can even penetrate the hair’s cell membrane so deeply that it can repair damaged hair and even promote new hair growth. It is also fabulous internally, as when the lauric acid within it is converted by the body it becomes monolaurin, which can help fight off viruses and bacteria-fuelled infections. It is full to the brim with antioxidants too, which prevents free-radicals from damaging DNA and thus stops premature aging of the cells. 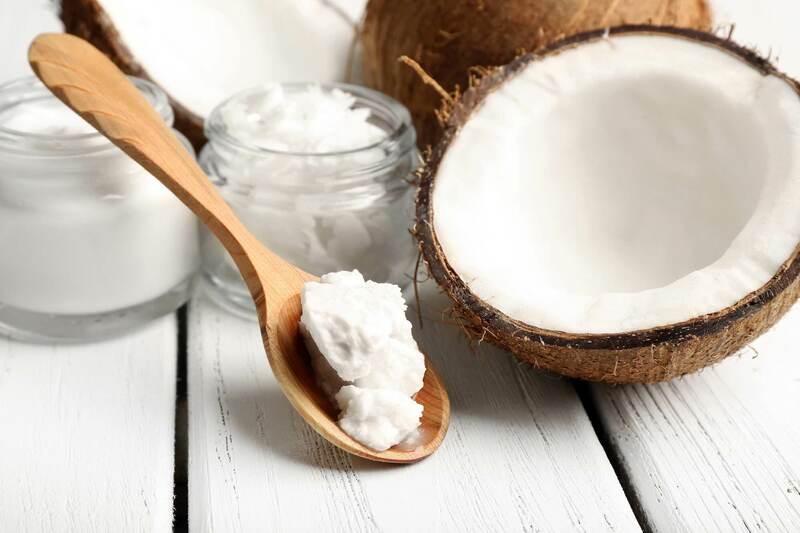 It also maintains functions of the body’s organs, doesn’t increase LDL cholesterol (unlike other vegetable sat fats) and can even speed up the metabolism, as it causes no stress to the pancreas. Coconut oil basically keeps your body in tip-top condition, from your head to your toes, inside and out, and it’s so easy and cheap to find! I guarantee you’ll find a tub in your local health store, local supermarket, and if in doubt, hit the World Wide Web. This oil is sourced from the Argan tree, which is native to Morrocco, and is renowned for its healing properties. It is rich in omega 3 and 9, which actively penetrates the hair shaft and can directly infuse the cuticle with nutrients which helps repair damaged follicles and stimulate hair growth. 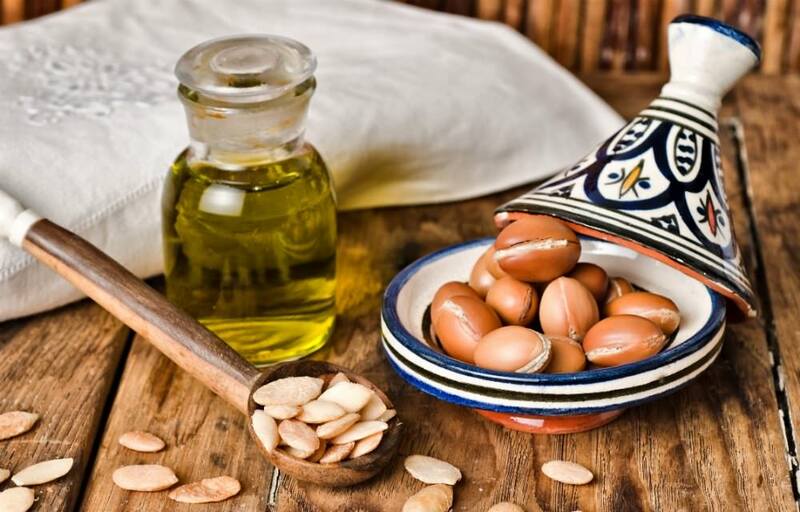 With this chain of fatty acids comes the sovereign antioxidant for healthy hair, Vitamin E. Due to its high concentration of vitamin E in Argan oil, it increases the cells membrane to absorb oxygen. This vital nutrient therefore allows better circulation in the scalp, and in turn the hair follicles will be penetrated with even more nourishment. Argan oil acts like a coat for hair, by sealing in moisture and it also works as a shield against harmful UV rays and pollution. This lightweight and non-greasy oil is easily manoeuvred through the hair and should be massaged into the scalp for the best results. Many products on the high street now contain Argan Oil, and they are bible for healthy hair. However, due to the tree it is derived from being endangered, the products are quite pricy. So be prepared to invest a little more in this than in alternative oils. 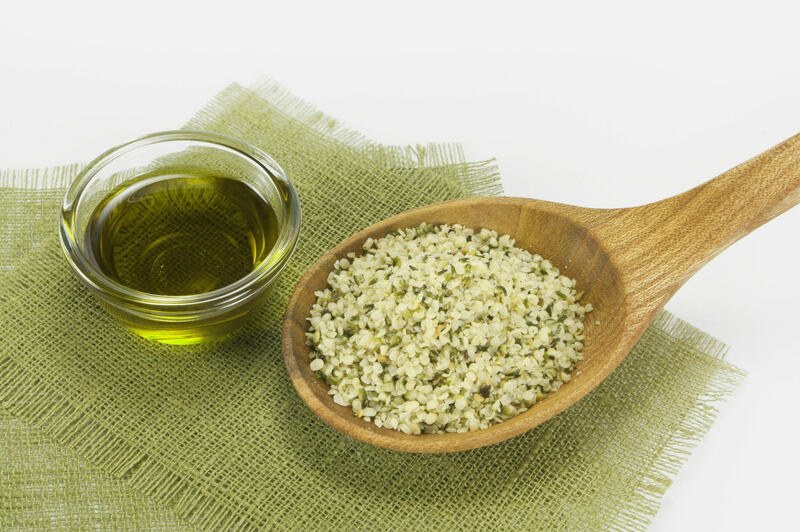 Extracted from hemp seeds, the oil is packed with essential fatty acids (omega 3, 6 and 9), vitamins (especially Vitamin E) and protein. This makes it a top contender not just for healthy hair, but a healthy scalp too. The oil itself works as an emollient, which helps condition the hair and scalp. Most importantly, the oil therefore helps prevent moisture loss, enabling your scalp to remain soft and hydrated. This is known as the best oil for winter conditions, as it can accommodate to dramatic temperature fluctuations. Because of its nutritious content, hemp directly affects the root, meaning it works deeply into the hair. It combats dryness, strengthens strands, maintains hydration and can even stimulate growth. Hemp certainly offers a multitude of benefits to the hair, and thankfully, it’s easy to find. This popular essential oil can be found in local health stores, supermarkets and also online, such as on Amazon. Other notable oils for hair are grapeseed, avocado, rosemary, jojoba and avocado. You are spoilt for choice when it comes to finding an oil to keep your tresses tamed all year round. So, enjoy healthy, smooth hair whatever the weather. P.S. I use OGX’s Argan oil mist spray and my hair remains super soft, despite the cold conditions. So, it is definitely worth the purse invasion! Is Moroccanoil as good as everyone says? Copyright © 2019. Hype My Hair is a registered trademark. A Hype Content product. You own the rights to the content you create and post on Hype My Hair. By posting content on the Website, you give us a nonexclusive license to publish your user generated submission, including anything reasonably related to publishing it (like storing, displaying, reformatting, and distributing it). 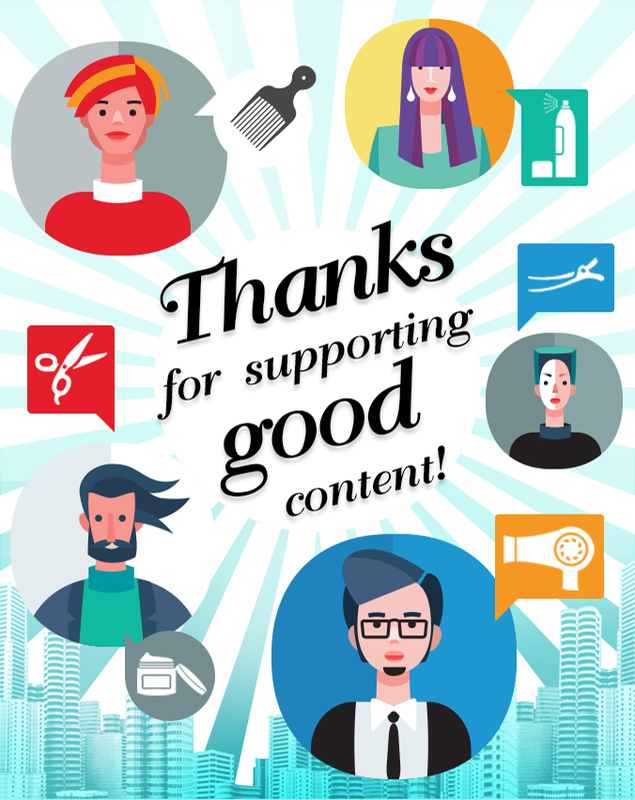 In consideration for Hype Content granting you access to and use of the Services, you agree that Hype Content may enable advertising on the Services, including in connection with the display of your content or other information. We may also use your content to promote the Website, including its products and content. We will not sell your content to third parties without your explicit permission. You’re responsible for the content you post. This means you assume all risks related to it, including someone else’s reliance on its accuracy, or claims relating to intellectual property or other legal rights. You are welcome to post content on the Website that you’ve published elsewhere, as long as you have the rights you need to do so. By posting content to the Website, you represent that doing so does not conflict with any other agreement you have made. By posting content you did not create to the Website, you are representing that you have the right to do so. For example, you are posting a work that’s in the public domain, used under license (including a free license, such as Creative Commons), or a fair use. We can remove any content you post for any reason. You can delete any of your posts, or your account, anytime. Processing the deletion may take a little time, but we’ll do it as quickly as possible. We reserve all rights in Hype My Hair’s look and feel. Some parts of Hype My Hair are licensed under third-party open source licenses. We also make some of our own code available under open source licenses. As for other parts of Medium, you may not copy or adapt any portion of our code or visual design elements (including logos) without express written permission from Hype My Hair unless otherwise permitted by law. You may not do, or try to do, the following: (1) access or tamper with non-public areas of the Services, our computer systems, or the systems of our technical providers; (2) access or search the Services by any means other than the currently available, published interfaces (e.g., APIs) that we provide; (3) forge any TCP/IP packet header or any part of the header information in any email or posting, or in any way use the Services to send altered, deceptive, or false source-identifying information; or (4) interfere with, or disrupt, the access of any user, host, or network, including sending a virus, overloading, flooding, spamming, mail-bombing the Services, or by scripting the creation of content or accounts in such a manner as to interfere with or create an undue burden on the Services. Crawling the Services is allowed if done in accordance with the provisions of our robots.txt file, but scraping the Services is prohibited. We may change, terminate, or restrict access to any aspect of the service, at any time, without notice. If you find a security vulnerability on the Website, tell us. We have a bug bounty disclosure program. To enable a functioning community, we have Rules. To ensure usernames are distributed and used fairly, we have a Username Policy. Under our DMCA Policy, we’ll remove material after receiving a valid takedown notice. Under our Trademark Policy, we’ll investigate any use of another’s trademark and respond appropriately. By using Hype My Hair, you agree to follow these Rules and Policies. If you don’t, we may remove content, or suspend or delete your account. Disclaimer of warranty. Hype My Hair provides the Services to you as is. You use them at your own risk and discretion. That means they don’t come with any warranty. None express, none implied. No implied warranty of merchantability, fitness for a particular purpose, availability, security, title or non-infringement. Limitation of Liability. Hype My Hair won’t be liable to you for any damages that arise from your using the Services. This includes if the Services are hacked or unavailable. This includes all types of damages (indirect, incidental, consequential, special or exemplary). And it includes all kinds of legal claims, such as breach of contract, breach of warranty, tort, or any other loss. No waiver. If Hype My Hair doesn’t exercise a particular right under these Terms, that doesn’t waive it. Sever-ability. If any provision of these terms is found invalid by a court of competent jurisdiction, you agree that the court should try to give effect to the parties’ intentions as reflected in the provision and that other provisions of the Terms will remain in full effect. Choice of law and jurisdiction.These terms and conditions shall be governed by and construed in accordance with the laws of England and Wales. Any dispute arising under these terms and conditions shall be subject to the exclusive jurisdiction of the courts of England and Wales. Entire agreement. These Terms (including any document incorporated by reference into them) are the whole agreement between Hype My Hair and you concerning the Services. Registration or Subscription Information, Communications and Requests from You, and Your Submissions. When you engage in activities on the Website such as those above, you may be asked to provide information such as your e-mail address, name, phone number, shipping address, and billing information, and we (or third party service providers on our behalf) will collect such information as well as any other content you provide us in engaging in any of the above activities. Information such as your age, date of birth, gender, hobbies or interests may also be requested. Usage Information. In addition to any information that you choose to submit to us, to provide you with services and content that are more customised to your interests, Hype Content and our third-party service providers and advertisers may use a variety of technologies (including cookies, Flash cookies, web beacons and embedded scripts) (“Cookies”) that automatically or passively collect information when you visit or interact with the Websites (the “Usage Information”). This Usage Information may include, without limitation, your IP address, the URL that referred you to our Website and all of the areas within our Website that you visit, the websites you visit after this website; the ads you see; the ads you click on; other information about the type of web browser, computer, platform, related software and settings you are using; any search terms you have entered on this website or a referral site; if you share our content to social media platforms; and other web usage activity and data logged by our web servers. Your IP address is usually associated with the place from which you enter the Internet, like your Internet Service Provider, your company or your library. We use your IP address for a variety of purpose, including to help diagnose problems with our servers, gather broad demographic information, and administer our Websites. We may also link this information with your other information when we feel that it is necessary to enforce compliance with our subscription or usage rules and policies or terms of service or to protect our Websites, customers or others. Usage Information gathered from your use of the Websites may be combined with information from third party sources to identify your location by state and region. For more information, see “Cookies and Other Tracking Technologies” below. Geolocation Information. With your consent, certain mobile Websites or a third party such as an advertiser may collect and use your geolocation to provide you with information about goods and services within your geographic location or implement other functionality in the Website, such as to serve targeted advertising. In addition, when you have geolocation software running on your mobile phone, computer or other device, we may collect that information as controlled by your privacy settings on those devices. By using such service, you hereby consent to our collection, use and disclosure of your geolocation information as described. (d) Information You Provide About A Third Party. At some Websites and through certain promotions, you can submit information about other people such as a person’s name and mailing address to send a gift. This information is used to facilitate the communication or provide the service and may otherwise be used as set forth herein. If that person becomes a subscriber to one of more of our Publications, or becomes an attendee or sponsor or speaker at one of more of our events, his/her information will be treated in the same manner as all others in that category. Please be aware that when you use any send-to-a-friend functionality on our Websites, your email address may be included in the communication sent to your friend. (a) Provide, Manage and Improve our Website. Hype Content uses information we collect from you in part to provide you with the goods and service you have requested (e.g., to sign up for an account, request promotional materials directly from a third party partner), to respond to your inquiries, to administer the Website and for other lawful business purposes. (b) Advertising and Analytics. We use the information in connection with advertising and to serve other content, as described below. We also use the information we collect and obtain about you to measure and improve our Website, to customise certain features of the Website, to deliver relevant content and to provide you with an enhanced experience based on the type of device you are using. (c) Transactional Communications. We use the information to provide transactional or service communications about the Website, such as to notify you when one of your content has been published, when we make changes to subscriber agreements, to fulfil a request for you for an email newsletter, or to contact you about your account. If you wish to unsubscribe from our email newsletters, please follow the unsubscribe/opt-out instructions at the bottom of the newsletter. (d) Reader Surveys. We may collect information from you in connection with voluntary surveys about your usage of the Website, your household/personal characteristics and your purchase behaviour. The information you provide in any audience marketing surveys will only be shared in the aggregate with advertisers and partners unless we notify you otherwise at the time of collection. Any other survey results may be shared with advertiser and partners, at our discretion, unless we notify you otherwise at the time of collection. (e) Editorial Use. In addition, we may use information you provide us through emails, blogs, forums, in response to polls, or through any other user generated submission for editorial purposes, and may use your name and any stories you provide us in articles published on the Website. If you provide us with personal anecdotes, they may be attributed to you. Hype Content can edit, rewrite, use, and reuse the content, including your name, likeness, photograph, and biographical information you provide, with or without attribution, including publication on the Website, and in trade media, and advertising. You hereby consent to this. (f) Marketing. Subject to applicable law, we may combine and use any and all information we collect on you either online or otherwise, including from third parties, for marketing purposes, including sending you promotional emails regarding special offers about our products and services or on behalf of third party marketing partners who we think can offer services and products of interest to you. Unless we expressly notify you otherwise at the time of collection, we also may disclose information that we receive from you and from third party sources to third parties whose practices are not covered by this privacy statement (e.g. other marketers, magazine publishers, retailers, participatory databases and non-profit organisations) that want to market products or services to you. This includes licensing information about your interests and activities, and marketing segments created with such data, which we may share with third parties for their marketing purposes. (h) Promotions. By agreeing to participate in a Promotion, you are agreeing to the official rules that govern that Promotion. (i) Anonymous Information. We may create aggregated or anonymised information about you and other users of the Websites by excluding information (such as your name) that relate to an identifiable individual (“Anonymous Information”). We may use this Anonymous Information for any purpose permitted under the law and disclose Anonymous Information to third parties in our sole discretion. (j) Third Party Contests and Promotions. In some cases you may have entered a contest or sweepstakes sponsored by a third party, in which case the information you provide via the contest or sweepstakes may be shared by us with that third party for their use in their discretion, including direct marketing. Some of our contests and sweepstakes will ask you at the time of entry whether you would like to have your personal information shared with the sponsor, in which case we will honour your selection. Other contests will not give you that option and in that event, if you do not want your information to be shared, you should not enter the contest. The privacy policies of such third party companies apply to their use and disclosure of your information that we collect and disclose to such third party companies. (l) Affiliates. We may transfer your information to other Hype Content offices and affiliates for internal management and administrative purposes on our behalf. (p) Co-Branded Areas. Our Website may from time to time partner with a retailer or other third party to offer online shopping opportunities, games, services, subscriptions, registration opportunities for our events and summits and other applications on a co-branded or cross-promotional basis (“Co-Branded Areas”). Those transactions on the Co-Branded Areas may take place on the Website, or the site of the third party. In either case, the information you provide in connection with the transaction may be collected directly by, or shared by Hype Content with, the third party, as well as with any participating sponsors or advertisers of such Co-Branded Areas. If you are a visitor from the European Economic Area, our legal basis for collecting and using the information described above will depend on the information concerned and the context in which we collect it. (c) if we otherwise have your consent. Delivery of Advertising and Other Content. In addition to ads and content that we serve you directly, Hype Content may use third party advertising companies and marketing services to serve ads and other content when you visit the Website and elsewhere on the internet and in other media. We also use analytics services supported by third party companies to perform analytics and track trends. We work with other third parties to provide certain functionalities on the Website and to improve the effectiveness of the Website and its content. Those third party companies may use Tracking Technologies to collect and store Usage Information about you and may combine this information with information they collect from other sources. If you access the Websites through a mobile device or app, we may also share your information with mobile carriers, operating systems and platforms. To provide ads on the Website, we use a variety of third party advertising service providers, including networks, data exchanges, ad servers, analytics providers and others. The list of third party providers is found in the Section below entitled “Third Party Cookies” here. This list may be updated from time to time. These third parties may use technology to send, directly to your Device, the advertisements and links that appear on the Website. They may automatically receive your IP address, web browser, operating system, and time and location information, geodevice type and device ID when this happens. The third party service providers, as well as the advertisers themselves, may collect and use information about your visits over time and across the Website and other third party websites, as well as information received from other sources, in order to serve more targeted advertising to you on the Website. Third parties may also use information gathered from your usage of the Website to serve targeted advertisements to you on third party websites and applications. Google is one of the companies that we use to serve advertising and perform analytics on some of the Website. We and third party vendors, including Google, use first-party cookies (such as the Google Analytics cookie) and third-party cookies (such as the DoubleClick cookie) together to help implement the above uses of your information. We also use Google Analytics along with audience data (such as age, gender and interests of users) to help understand users’ visits to the Website and to optimise the content that we serve to users. We endeavour to adhere to the Digital Advertising Alliance’s (DAA) self-regulatory principles governing interest-based advertising. Your Choices about Ads and Analytics. To learn more about how to manage your preferences regarding our cookie-based advertising, please see the “Cookie Management” section in our Cookie Notice below. In addition, if you do not want to receive tailored in-application advertisements from third parties that relate to your interests in apps on your mobile device, you may opt-out by adjusting the ad tracking settings on your mobile device. You can also reset the “Advertising Identifier” (like an IDFA) from your mobile device’s settings page, which will prevent continued use of existing behavioural data tied to the previous “Advertising Identifier.” Like the opt-out tools mentioned above for web, these mobile opt-out tools are provided by third parties, and we do not control or operate these tools. Please note that you may still receive advertisements from third parties within the Website even if you opt out of tailored advertising but they will not be based on your activity across unrelated websites or apps. Hype Content does not act on “do not track” requests from your browser because, this way, we are able to personalise your experiences on our Website. For more information, go to http://www.networkadvertising.org or http://www.aboutads.info. Subject to certain local laws, you have certain rights with respect to your information as further described in this section. revoke your consent for the processing of your information. We will consider all requests and provide our response within the time period stated by applicable law. Certain information may be exempt from such requests in some circumstances, which may include if we need to keep processing your information for our legitimate interests or to comply with a legal obligation. We may request you provide us with information necessary to confirm your identity before responding to your request. (c) SMS Communications (when available). You may opt-out of SMS messages from us by following the instructions provided in the message or by texting back STOP to the number we send the text from for that particular SMS message. When we receive an opt-out message from you for SMS messages, we may send a message confirming our receipt of your opt-out. (d) Geolocation. If you have previously allowed us to access your geolocation data, you can stop making geolocation available to us by visiting your mobile device’s settings for the relevant application or the “settings” page for the relevant game. (e) California Users: Your California Privacy Rights. Under California Civil Code sections 1798.83-1798.84, California residents may annually request information regarding what categories of personal information (as defined by such law) Hype Content shares with third parties for those third parties’ direct marketing purposes. If you are a California resident and would like a copy of this notice, please contact us using the information in the “Contact Us” section below at any time. In your request, please specify that you want a “Hype Content California Privacy Rights Notice.” Please allow at least 30 days for a response. We keep your information for no longer than necessary for the purposes for which it is processed. The length of time for which we retain information depends on the purposes for which we collected and use it and/or as required to comply with applicable laws. We use and allow certain other companies to use certain tracking technologies, including cookies, web beacons, and other similar technologies (collectively, “Cookies”) on the Website. This section (“Cookie Notice”) explains what these technologies are and why we use them, as well as your rights to control our use of them. We endeavour to adhere to the Digital Advertising Alliance’s (DAA) self-regulatory principles governing interest-based advertising. Cookies are text files that contain a certain amount of information and are downloaded to your computer or mobile device when you visit a website. They are useful because they allow websites to recognise a user’s device. They are then returned to the original website on each subsequent visit or to any other website that recognises them. For more information on cookies, go to http://www.allaboutcookies.org. The term “Cookie” is used in this Notice in the broad sense to include all similar techniques and technology, including web beacons and log files. For more information on these additional tools, see our glossary below. Your user name, your password, the type of browser used and your IP address, so that we can identify you during your next visits. We use first party and third party Cookies for several reasons. Some Cookies are required for technical reasons in order for our Site to operate, and we refer to these as “essential” or “strictly necessary” Cookies. Other Cookies also enable us to track and target the interests of our users and to enhance the experience on our Website. Third parties also serve Cookies through our Website for advertising, analytics and other purposes. The specific types of first and third party Cookies served through our Website and the functions they perform are described in more detail below. These cookies are created by Hype Content. They allow you to browse the Website and use its features. Essential Cookies: These cookies are strictly necessary to allow you to move around the Website and use its features, such as accessing your subscriptions. Without these cookies, we cannot enable appropriate content based on the type of device you are using. Therefore, these cookies cannot be disabled. Functional Cookies: These cookies allow us to remember choices you make on the website (such as your preferred language or the region you are in). To refuse these Cookies, please follow the instructions below under the section Cookie Management. Note that by disabling functional cookies, you may not be able to use some of our features or those features may not function properly. Embedded Scripts: An embedded script is programming code that is designed to collect information about your interactions with the Website, such as the links you click on. The code is temporarily downloaded onto your computer or other device, is active only while you are connected to the Website, and is deactivated or deleted thereafter. Advertising Cookies: These Cookies, defined exclusively by third parties, collect several types of data about your browsing habits, as well as your preferences for products and services. This information allows PMC to serve you relevant advertisements on our Website. To refuse these cookies, please follow the instructions below under the section Cookie Management. Some advertisements may also contain an icon that you may click on to find out more about how to manage your advertising preferences. Third-Party Functional Cookies: These Cookies are defined by third parties who support our Website and allow you to use useful services and features. To refuse these cookies, please follow the instructions below under the section Cookie Management. Small graphic images or other web programming code called web beacons (also known as “clear GIFs” or “pixel tags“) or similar technologies may be included in our web pages and messages. Web beacons or similar technologies may be used for a number of purposes, including, without limitation, to count visitors to the Website, to monitor how users navigate the Website, to count how many e-mails that were sent were actually opened or to count how many particular articles or links were actually viewed. A clear gif may enable us to relate your viewing or receipt of a web page or message to other information about you, including your Personally Identifiable Information. To refuse Web Beacons, please follow the instructions below under the section Cookie Management. HTML, the language some websites are coded in, may be used to store information on your computer or device about your interaction with and use of the Website. This information may be retrieved by us to help us manage our Website, such as by giving us information about how our Website are being used by our visitors, how they can be improved, and to customise them for our users. We use both “session cookies” (which expire once you close your web browser) and “persistent cookies” (which stay on your computer until you delete them). To learn about Google Analytics’ currently available opt-outs for the Web, please visit https://support.google.com/analytics/answer/181881?hl=en. Some of the advertising service providers may be members of the Network Advertising Initiative, which offers a single location to opt out of ad targeting from member companies. If you opt-out of receiving targeted ads in this manner, you will continue to receive advertising messages after you opt-out, but they will not be customised to you based on your use of the Website and/or third party websites. If you would like more information about advertisers’ use of tracking technologies and about your option not to accept these cookies, you can go to http://www.networkadvertising.org. If you would like to learn more about how interest-based information is collected, whether the companies we use are part of an industry network regarding behavioural advertising and to know your choices about not having information used in this manner, you can go to http://www.aboutads.info. The collection of information via certain ads served to users in Canada may be managed by visiting youradchoices.ca. Please note that the-opt out is cookie-based and will only affect the specific computer and browser on which the opt-out is applied. We implement appropriate administrative, technical and security safeguards to help prevent unauthorised access, use, or disclosure of the information we collect. However, no systems can be completely secure. Therefore, while Hype Content uses reasonable efforts to protect your information, Hype Content cannot guarantee its absolute security, and your use of the Website indicates your agreement to assume this risk. The Website is for a general audience and are not designed or intended for use by children, especially those under age thirteen (13) or sixteen (16) in the EU.